Artificial pancreas systems could one day regulate insulin levels in diabetics with little or no input from the patient. The pancreas is an organ that secretes several hormones including insulin and glucagon. It also releases digestive enzymes that help break down food. 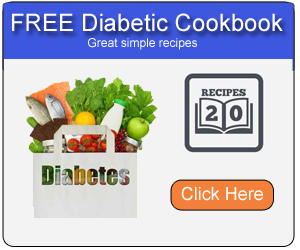 Insulin is used to deliver glucose from the bloodstream to cells where it is needed. Glucagon causes the liver to release stored glucose into the bloodstream. With type 1 diabetes, the pancreas is unable to produce the insulin needed to regulate blood glucose levels. Type 2 diabetes occurs when the pancreas is no longer able to make enough insulin or the body has become insulin resistant. What is an artificial pancreas (APDS)? An APDS is a system of devices that mimics the glucose function of a healthy pancreas. Currently studies for APDS include two devices. 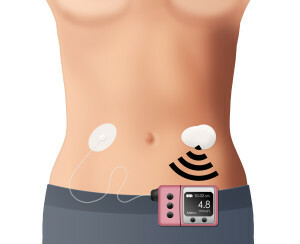 One is a continuous glucose monitoring system (CGM). The other is an insulin infusion pump. A blood glucose meter is also used to calibrate the CGM. In the future, an APDS will monitor glucose levels and automatically adjust insulin with little or no input from the patient. On Oct 11, 2012 the FDA released a final guidance document that addresses requirements for clinical trials and premarket approval applications for APDS. As of now, the FDA has not reviewed sufficient safety and effectiveness data to approve an APDS for use in the U.S. Other countries do however, have low glucose suspend systems available for their patients. There are several companies out there that are making progress on getting FDA approval for their APDS. If they stay on track it is expected that some APDS could be on the market in the United States as soon as 2017.